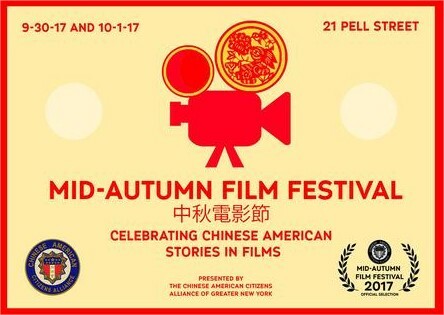 To recognize and promote the role of Chinese Americans in the dialogue of filmmaking and culture, Chinese American Citizens Alliance of Greater NY (CACAGNY) is pleased to launch the CACAGNY Mid-Autumn Film Festival. Films screenings will be accompanied by discussions with filmmakers and historians over September 30-October 1, 2017 in Chinatown, New York, NY. tickets start at $10. Each Ticket Includes Live Q&A! No Wheelchair Access.